Automatic brick making machine is under the PLC intelligent control, can produce bricks automatically and efficiently, which can save labor cost and reach high efficiency. 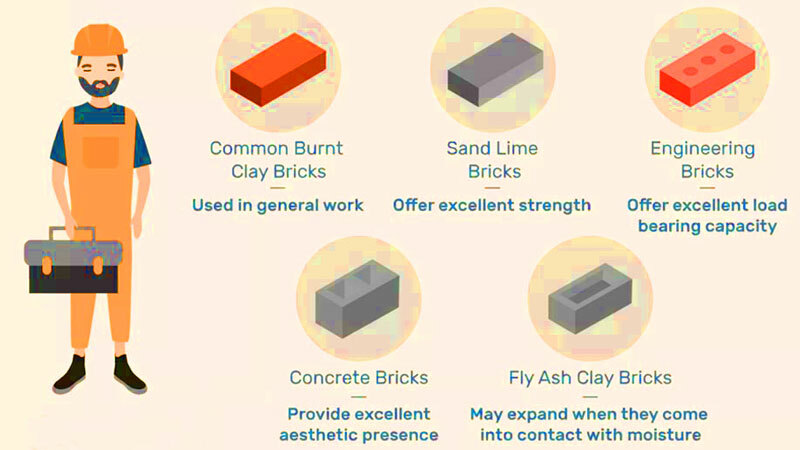 As long as your local area has one or two types raw materials, such as, fly ash, cinder, coal gangue, sand, mountain flour and construction wastes, etc, and also you have space over 500 square meters as brick making site, you can do free-burning brick production business. We can provide you with investment choice from 135 USD to 142,857 USD. Land occupation range is 500 square meter to 26,666 square meter, if you don’t know more about automatic brick machine, just leave your requirement on my website, we will help you! For automation degree, we mainly have fully automatic brick making machine and semi automatic block making machine, as for their difference, you can read ahead. 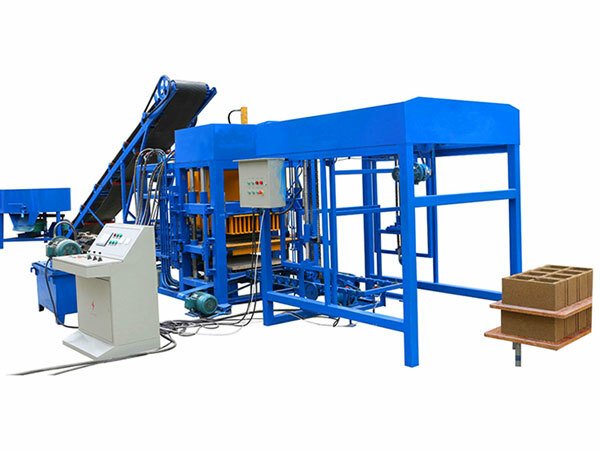 Productivity of fully automatic brick making plant is high, while productivity of semi automatic brick making machine is low. For example, QT4-25, if it is fully automatic brick machine, the productivity of it will be twice than that of semi automatic type QT4-25. 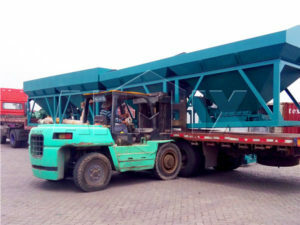 For fully automatic brick plant, we adopt PLC control, computer interface operation, which is very easy, our telecommunication system bring a lot of convenience to fault inquiry and a long-distance monitoring. 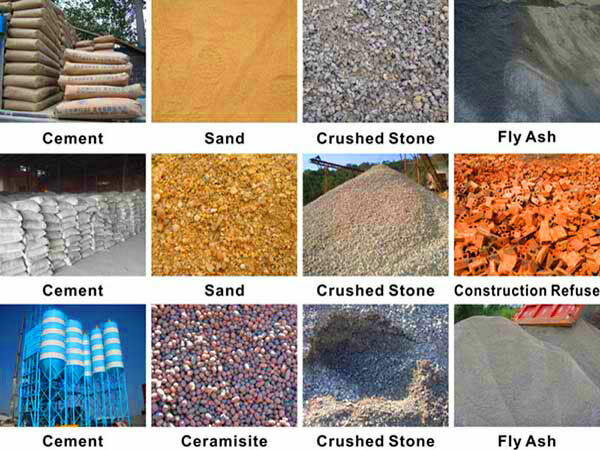 It can automatically analyze the product intensity, adjust the proportion of materials feeding. While semi automatic type, you have to do it manually. 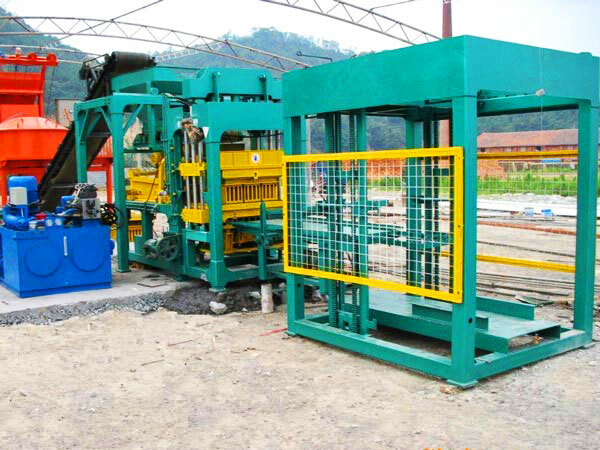 Fully automatic block making machine has large molding area, in addition can produce all kinds of free burning bricks, it also can produce all types of interlocking bricks, pathy bricks, slope-protection bricks, etc. 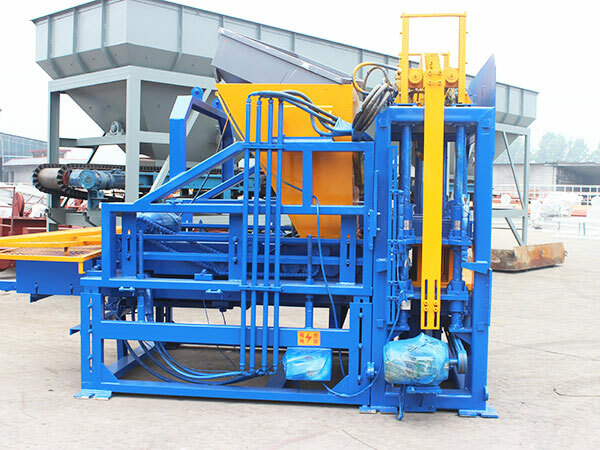 Fully auto bricks machine is automatic operation, only needs 2 to 3 persons, save labor and costs; semi automatic block machine needs to be operated manually, and finished bricks needs to be carried by people, about 5 to 6 persons are needed, which will takes time, labor and money. 1. 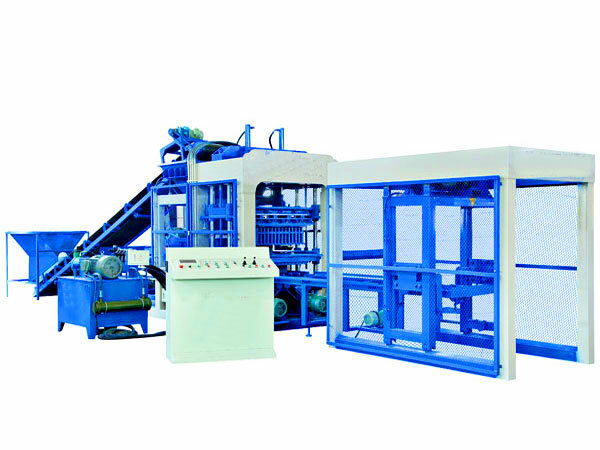 Automatic block making machine has simple structure, which is very solid and durable, reliable and safe. 2. 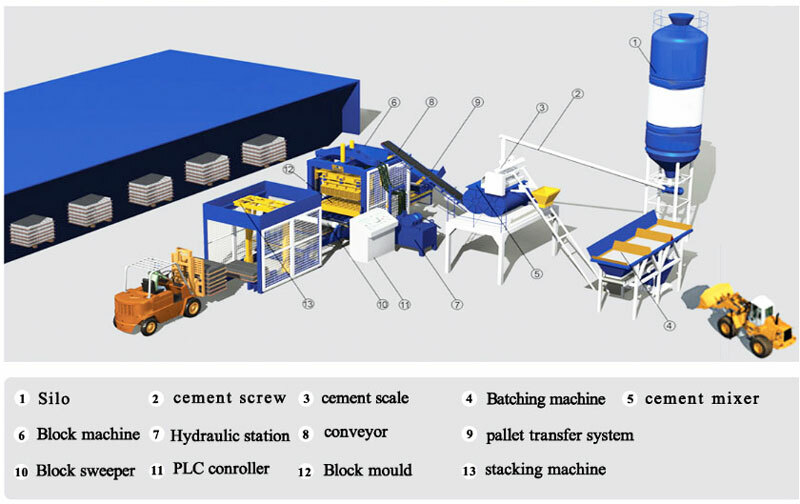 Automatic brick making plant is controlled by PLC intelligent control system, easy to operate. 3. 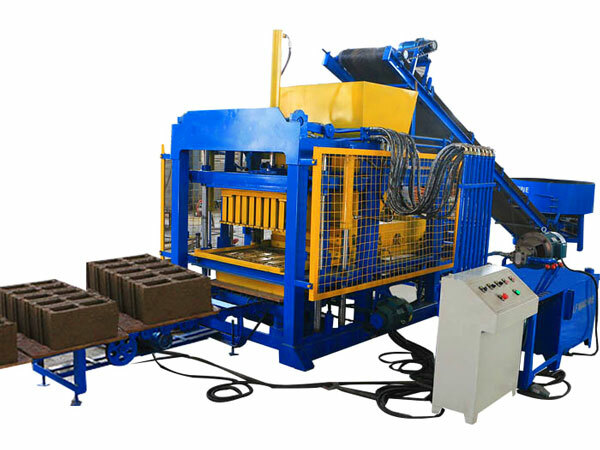 Automatic brick manufacturing plant has efficient hydraulic vibration and press system, which ensures intensive and superior quality. 4. Automatic brick manufacturing machine has unique forced spinning device, new structure, attractive appearance, placing materials evenly, fast speed and no noise. 5. 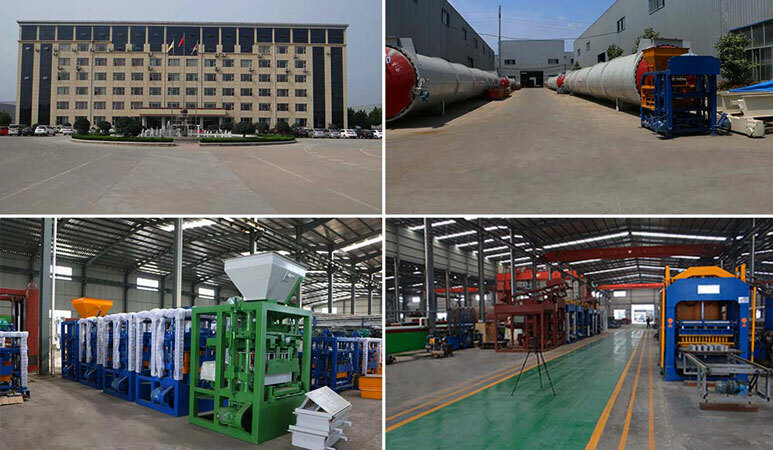 We adopt special wear-resistant steel materials, ensure long service time of automatic brick plant, which effectively lower the cost of molds. 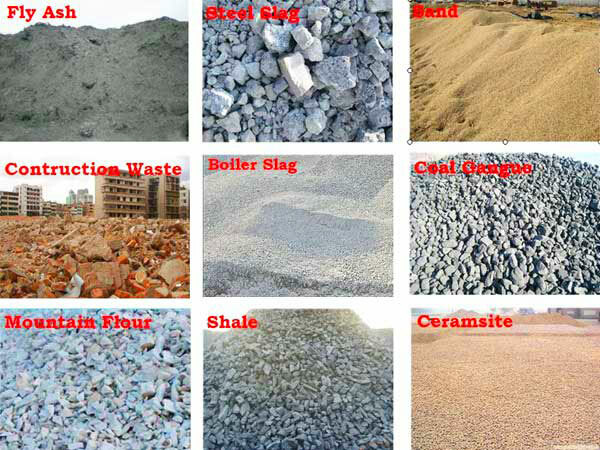 Most of customers will ask for auto brick machine price, actually, there is no fixed price. Generally, different types have different quotation. 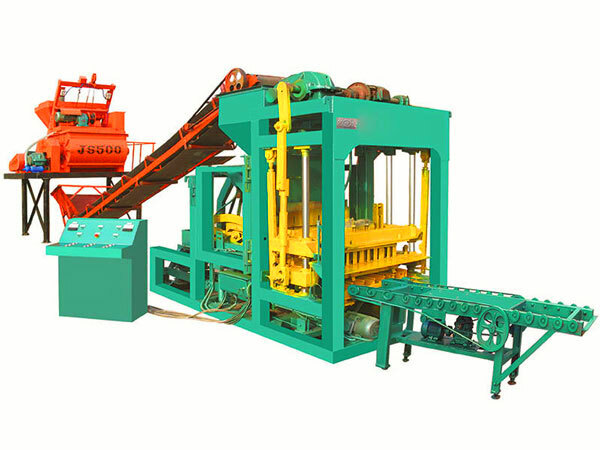 While for same type automatic brick making machine, price is changeable under the different configuration. What’s more, one different part will affect the whole price such as, fully automatic block making machine price and semi automatic brick making machine price, they are different from control system, but they have definitely different price. Therefore, if you want to know price, please tell us your requirements in detail, we can give you much more accurate quotation! 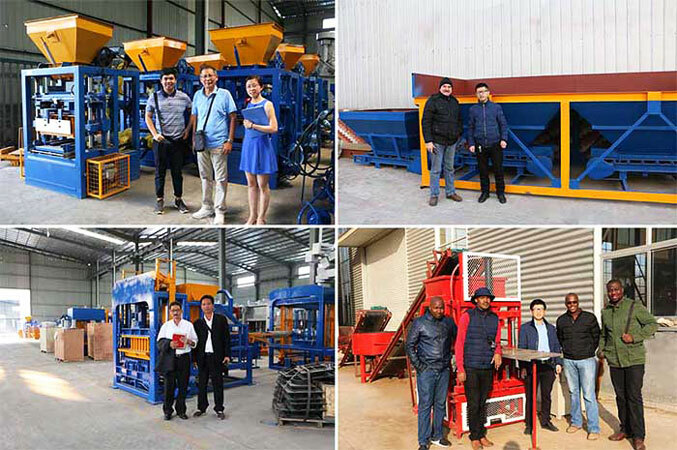 In addition, the most important thing is different automatic brick making machine manufacturers will also give you different price, so I think, if you want to get a quality automatic brick making machine, the first thing is to choose professional partner among automatic brick machine manufacturers, like AIMIX GROUP, they have strong comprehensive strength in Pakistan, China, Philippines, Uzbekistan, in the future, they also will establish oversea warehouse in Indonesia, Malaysia, Australia, etc, which will provide you with best after-sales service and maintenance!